As the saying goes, “If it isn’t grown, it must be mined.” In Australia mining employs approximately 215,700 persons (ABS trend data), full time and part time, which is around 1.8 per cent of the total workforce. At this time of year there are a number of significant days for miners in the US Miners’ Day is the 6th of December, but internationally the 4th of December is noted as it is the feast day for St Barbara – traditionally the patron saint of miners. This year we are highlighting a West Australian who has been very engaged in the community events, including the St Barbara’s Festival held annually in Kalgoorlie: Jayne Finch. 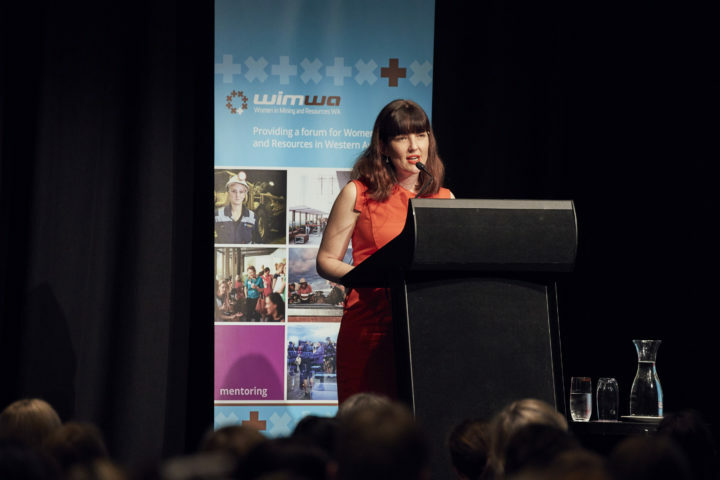 Earlier this year Jayne spoke at the WIMWA Summit and the audience was impressed by her resilience and persistence in overcoming the challenges she has faced. Watching her in this video, it might surprise you that Jayne has worked as a driller’s offsider running rods on a RC drill rig. However, Jayne also has impressive qualifications and is both a Mining Engineer and Geologist with over 10 years open pit mining experience in the areas of geology, mine planning and environmental management. Jayne currently holds the position as Underground Project & Planning Engineer at the Super Pit. Jayne has also held positions as Environmental Superintendent at FMG’s Cloudbreak and Chichester iron ore operations as well as Paddington Gold Mine in Kalgoorlie. Jayne has a WA Unrestricted Quarry Managers Certificate of Competency and has completed a Master of Science (MSc), Mining and Mineral Engineering at Curtin University.